Against the backdrop of the 100th anniversary of the opening of the Panama Canal, ASCE kicked off its Global Engineering Conference 2014 in Panama City, Panama, in grand style by hearing from Jorge L. Quijano, administrator of the Panama Canal Authority, about the civil engineering challenges involved in the construction of the $5.2 billion Panama Canal Expansion, due to be completed next spring. 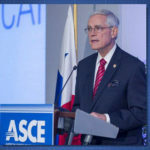 Also speaking at the Opening Plenary, ASCE President Randall “Randy” S. Over, P.E., F.ASCE, reflected on what the Society has accomplished over the past year and looked forward to ASCE continuing to grow leaders among members as they practice in an increasingly global profession. 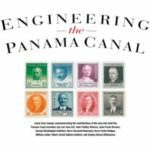 Under the conference theme, “From Community Projects to Giga Projects: Civil Engineers Having a Global Impact,” keynote speaker Quijano shared with the audience the extraordinary engineering organizational skills required to manage and complete the Panama Canal Expansion. 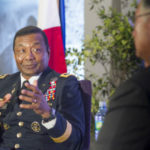 Quijano explained that the project will create a new lane of traffic along the canal through the construction of a new set of locks, doubling capacity and allowing for more traffic. The project consists of several components, including new locks (Third Set of Locks), a Pacific Ocean access channel, and improved navigational channels. 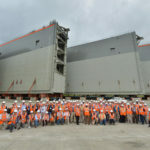 After its completion, the Panama Canal will be able to handle vessels of cargo capacity up to 13,000 twenty-foot equivalent units (TEU). Currently, it can only handle vessels up to about 5,000 TEU. Over, in his farewell address as ASCE president, set the tone of the conference and the future of the Society by emphasizing the need to focus on carefully preparing the next generation of Society leaders to ensure that both civil engineering and ASCE continue to advance and influence the profession and the greater society. Over emphasized that ASCE is working to provide a continuum of progressively more advanced leadership training as members move through their careers. That training can come in a variety of forums, such as ASCE’s annual Multi-Region Leadership Conferences, and with input from such resources as ASCE’s Industry Leaders Council. And as part of that overall leadership strategy, ASCE is also expanding its influence and offerings globally. “ASCE continues to grow internationally both in membership and technical knowledge,” stressed Over. “In keeping with ASCE’s vision for the future – civil engineers are global leaders building a better quality of life – and the fact that the civil engineer leader of the future will be significantly more global in practice and perspective, ASCE continues to consider a strategic path toward greater global engagement. 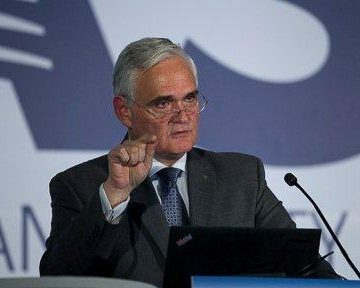 Find out what happened on Day 2 at the Global Engineering Conference 2014.